HHEEELLLOOOOOOOOO!!!!!! IT WAS A RUN BY FRUITING!!! 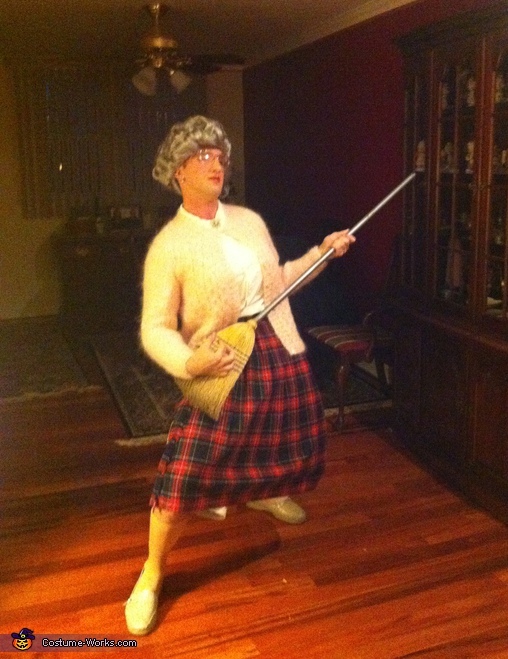 I decided to dress up as Mrs. Doubtfire this year because it is one of my favorite movies. I got a lot of the costume at the thrift store and my sister did my makeup and my cousin made up the wig for me.